A wise psychic carrying out love readings will not only be aware of your personal problems, but the emotional issues that haunt humanity. So they will be well aware that love is the most important feeling we can experience in a life time. It opens doors, it lifts our mood and it makes us feel good, positive and hopeful for the future, happy go lucky even. That special smile, that in-depth gaze, and suddenly we have fallen, “hook line and sinker”. But really, what is so different between an infatuation and true love? How can we be sure that what we are experiencing will change our lives and make us want to rush off to Wales and live in a commune with our sweetie pie? Love readings tell us we will know it is love when we wake up in the morning and they are the first person we think of. Love readings will clarify that joy at the thought of their existence on this planet, is perfectly normal. In fact we could even break into song. Love readings will also tell us if we think about a life without our beloved it seems sad, grey insupportable. That when we stand next to our sweetie, we feel confident, inspired, fulfilled. Love readings will inform us that we will never be tired of listening to the “other half” talk, that we will feel a buzz within the depths of our hearts, yet become so desperate when they do not call we could literally crawl up the wall! If these feelings last more than one month and they continue to grow we can safely say we are in love. 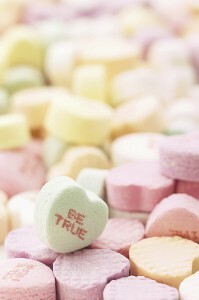 A psychic carrying out Love readings will indeed help us identify what our true feelings are. Francesco Alberoni, an Italian poet and love pundit, tells us in his book “Love Lessons” that love is usually more joy than pain, but yet if it is pain, it is the worst pain in the world! As for how many times a person falls in love? Some might think many times, but in reality only once or twice is the basic rule Francesco insists. “Love is an all consuming emotion, identifiable by its originality”, he says, by its “specialness”. It would be great if we could fall in love with everyone we like or are attracted to, but that is just not the way it works. Of course, we can be sexually attracted but physical attraction although powerful, does not mean we are in love. Love readings will often point that out to us, perhaps also point out that our life partner is also a soul mate, someone who we have connected to in other life times. Love readings could also bring to our attention that sometimes we will fall in love when we are about to face significant life changes. We have just morphed into a hot blooded teen, we are about to start college, we are about to become a senior citizen, our marriage has broken up, we are changing career, lifestyle, way of perceiving reality. So when everything seems to be going just right, or completely wrong, suddenly, there he or she is, smiling at us from behind a newspaper, slurping over an orange juice, bumping into us as we rush for the train. Love readings will encourage us to believe anything can happen, and we need to be prepared for it. We need to be prepared to open our hearts.